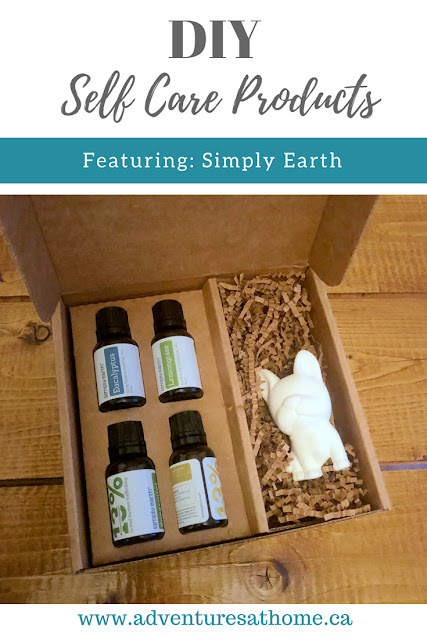 Essential oils are something I've been interested in for a few years, so I was really excited when Simply Earth contacted me to take a look at their essential oil subscription box. In our home, we use essential oils primarily for making cleaning products, and diffusing, but Simply Earth made it easy for me to try out different recipes for essential oil products. This box was sent to me at no cost, but all opinions are my own. 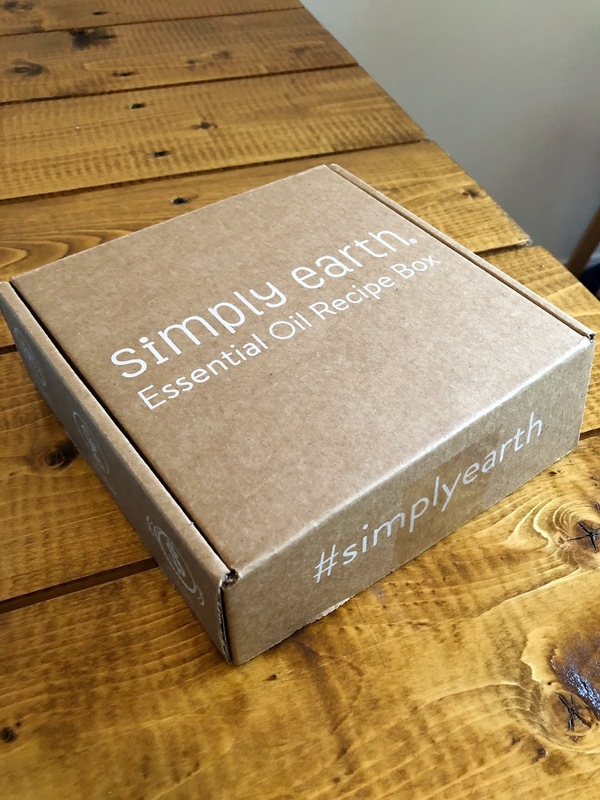 Simply Earth is a monthly subscription box for essential oils. Each month it features 4 bottles of oil & recipe cards to create wonderful DIY home and care products. Along with the regular recipe box, I also received the Big Bonus Box, which was a box full of things needed to make the essential oil recipes. It included things like, coconut oil, almond oil, bees wax, and a ton of bottles and containers needed to create several months worth of recipes. Since it is Summer, unfortunately the coconut oil melted and leaked about throughout the box before I received it. Having it in a baggie instead of just loose in the box may have prevented this. Thankfully not much leaked out and I was still able to use it for my recipe. 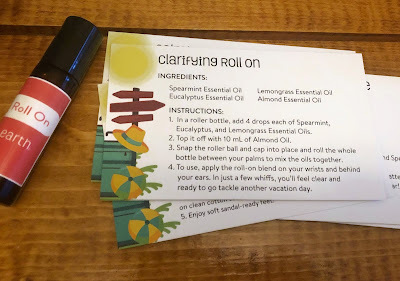 The clarifying roll on was my favorite recipe to make. It was the easiest, and turned out the best. The car diffuser recipe included a cute dog shaped ceramic diffuser for our car. 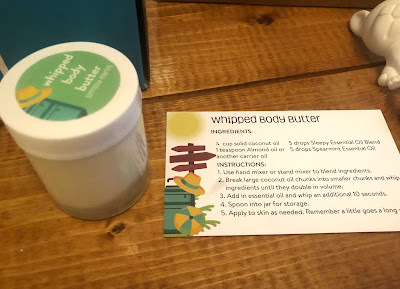 I found the whipped body butter the hardest item to make, but it really wasn't that difficult, which shows that literally anyone can make these recipes with ease. The reason I found it difficult was just because I had a hard time getting the right consistency. I followed the instructions exactly, but it was very runny and oily, and difficult to rub in when I tried to use it. I also found that the oil ratio was a bit strong- it called for 5 drops of each oil in the recipe, and the smell was extremely overwhelming. I don't think I could wear it daily. My kitchen was also very warm (it's Summer), so maybe cooling the mixing bowl and mixers ahead of time would have helped. It would have been nice to see tips like that included in the recipe card. I plan to keep it in the fridge for a bit and see if that helps. Next time I would lower the number of essential oil drops, and I think that would really make this a great product to use. 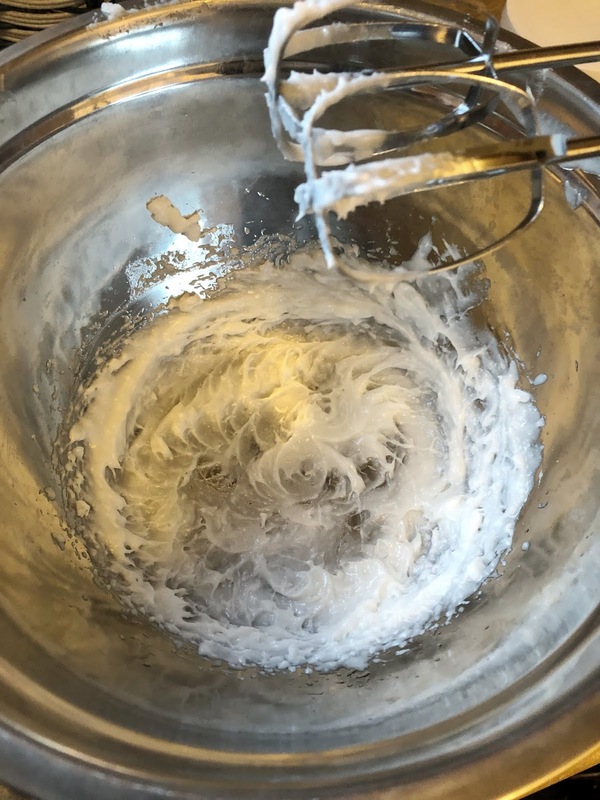 This jar full of body butter was basically completely liquid after mixing everything. 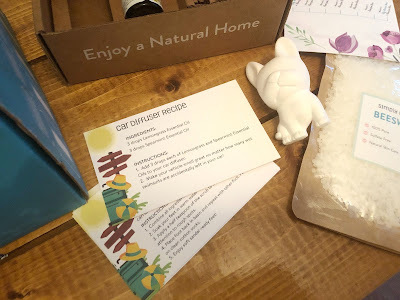 The subscription box also came with cute label stickers for the finished products, but you have to cut them out yourself, and I would have preferred to have them precut, just to make the process a bit quicker. Overall I really enjoyed this subscription box. The oils and all of the products in the Big Bonus Box alone make it worth purchasing, and the recipe cards are a unique touch that I've never seen with any other company. Perhaps most importantly, this is a company that gives back! They donate 13% of their profits to fighting human trafficking. The box is $39 per month or $45 every 3 months and can be cancelled at any time. If you're interested in purchasing this subscription box along with a free Big Bonus Box (worth over $50), use code ADVENTURESATHOMEFREE at the checkout to receive an additional $20 gift card towards future purchases with your first order. Comment below and tell me your favorite essential oil recipe!